We are offering a second session of our 2014 Virtual Book Club for Kids Summer Camp!! If you missed out (or your kids were still in school during our June session), come join us for our July/August session! It starts next Monday, July 28th and registration is open NOW! We had over 450 participants in our June session and it was AWESOME!! 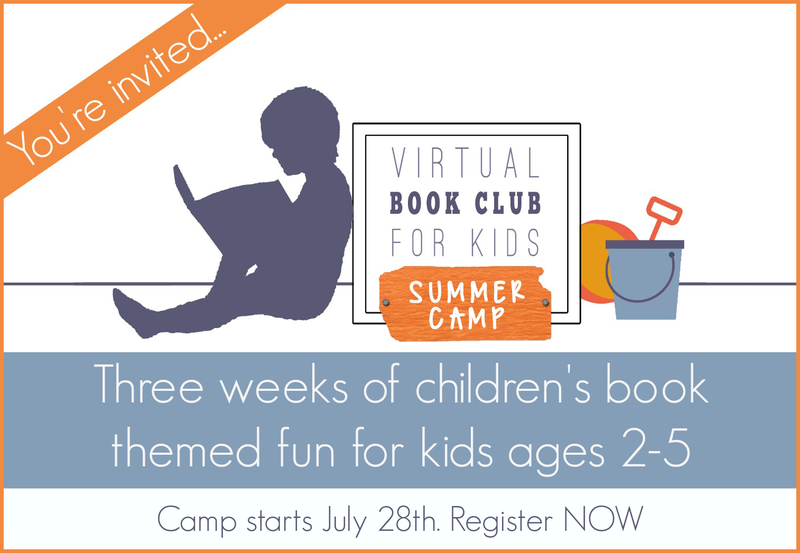 Virtual Book Club Summer Camp includes THREE weeks of children's book themed crafts and activities for kids ages 2-5. Once you get the newsletter each week you'll have plenty of simple activity ideas to help you connect and create with books and your kids all week long! Our July/August session is designed for those that didn't already participate in our June session. membership to a private Virtual Book Club Summer Camp Facebook group where you can chat with our VBC "Camp Directors" (that's us) and other participants, get tips, other creative ideas, and additional resources. This is our favorite part! 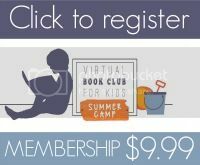 We are offering Virtual Book Club Summer Camp membership for $9.99. You may want to sprinkle the activities throughout the rest of the summer every few weeks or do them along with us each day. Sessions are scheduled for the weeks of July 28th, August 4th, and August 11th. Once you register for Virtual Book Club Summer Camp you'll receive a note from paypal saying, "Receipt for Your Payment to Virtual Book Club for Kids" along with a welcome email within a few hours with camp themes and an invitation to our private Virtual Book Club Summer Camp Facebook group so we can start chatting! If you don't see your receipt welcome email within two days of signing up, please contact us at virtualbookclubforkids@gmail.com. Before you contact us check your spam and make sure that you are checking the correct email address account! We are three moms (& former teachers) that will be on call to help you create an awesome summer for your kids! 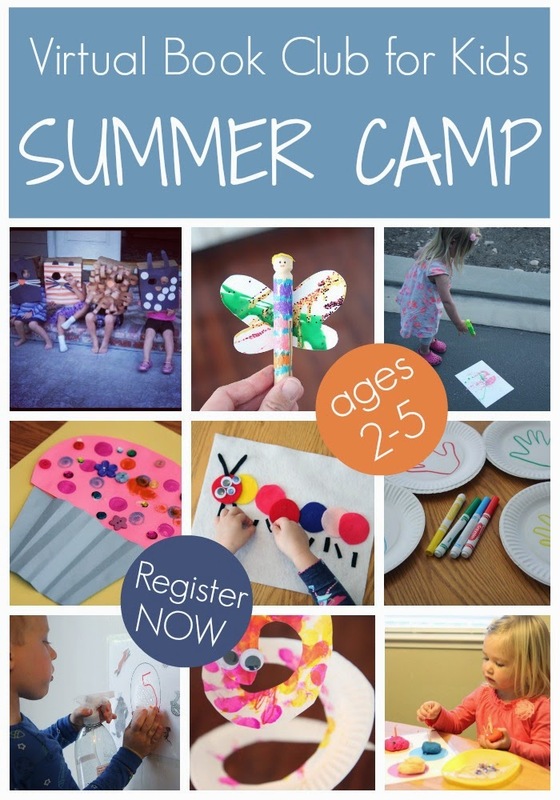 I am especially excited about camp because I am exhausted from the year and really want to simplify this summer but still connect with my kids each day in fun easy & creative ways (while also sneaking in a little learning). I really can't decide without knowing what books will be read! Can you tell us, please? We hope you join in! Our book lists are fluid. The activities are built around a theme but we have loads of book recommendations, not just 2-3 set books we are using. The camp leaves room for lots of flexibility with books and you have 3 teachers as your resources! I know I'm a little late, but I just registered and am pretty excited. I have a 2 1/2 year old and this is our first "camp"!